It is that time again!!! Another “how do you use it? 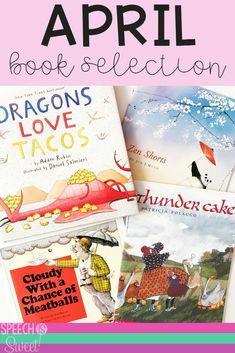 !” linky party post!! 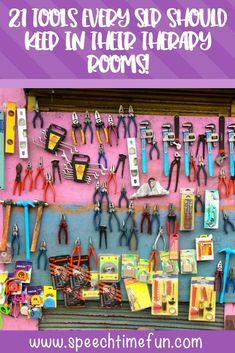 If you didn’t know from last month, once a month, I will be posting with ideas on how to use a product that is already in most speech rooms (and if not, easy to find!). 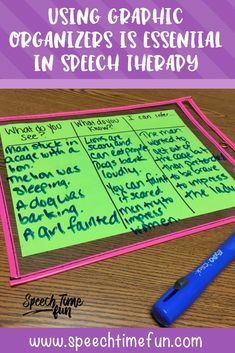 I will also have other SLP bloggers linking up their posts on the same topic that I have provided! Their posts can be found on the bottom of this post! 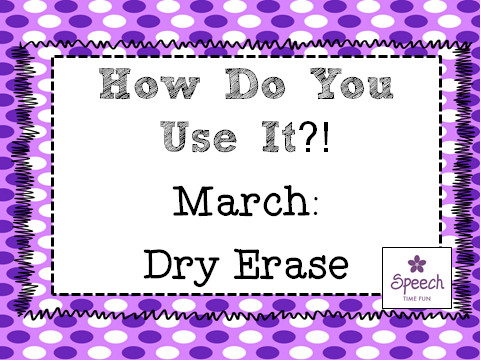 This month’s topic: DRY ERASE!!! Who doesn’t love dry erase?! I have TONS of markers in my speech room! 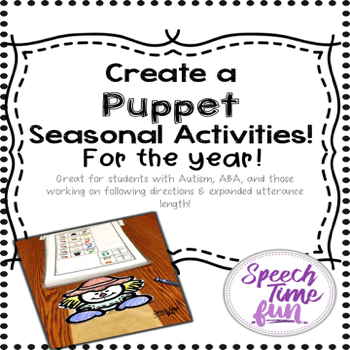 It is such an easy way to motivate students to write! Even though they are writing, they prefer using these over pencils, so why not use them!! I have compiled a list of some of my favorite ways to use them! 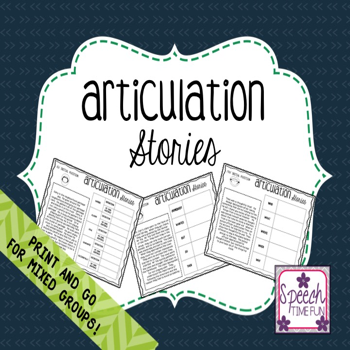 Just by laminating, anything can be made interactive with a dry erase marker!! 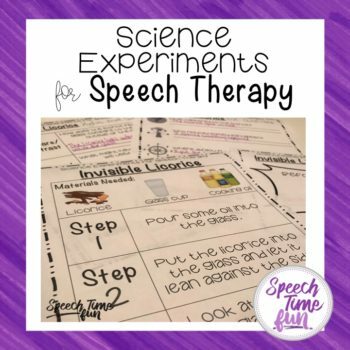 I took my sequencing activity from my Baking Up Good Speech: Receptive Language activity pack, laminated it, and grabbed my dry erase markers! Students were able to number the sentences in the correct sequence! Then I was able to erase it and use it with another group!! Another idea? 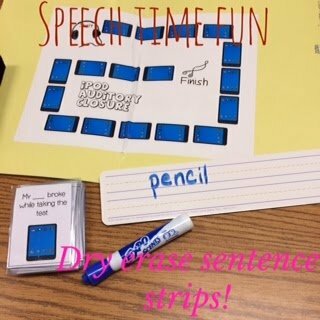 Teaching context clues or vocabulary, students can underline the unknown words or clues in sentences with dry erase markers!! Have you seen these pockets? I know some have found them in dollar stores or at Target in the dollar section. I got mine from Lakeshore Learning. But you can also find them on Amazon. I use these pockets to make writing fun without laminating!! It is also a great tool if photocopy machines are broken! 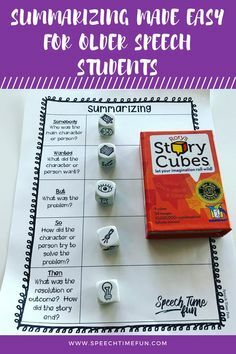 Just slip a worksheet in, and now it is dry erase! 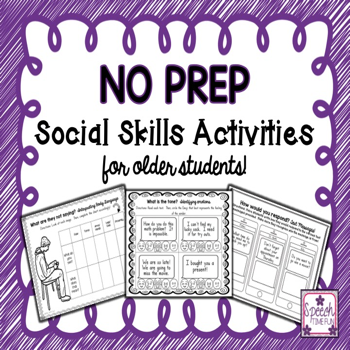 You can use the same worksheet with multiple students/groups!! 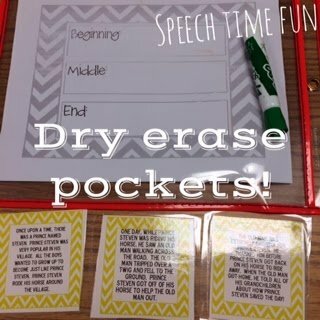 Above you can see how I used the dry erase pockets to complete the sequencing graphic organizer with my Sequencing For Older Students pack! Just like my idea with the cards, I like to laminate file folders and use dry erase makers with them! See above, I used my Superhero Story Recall activity. 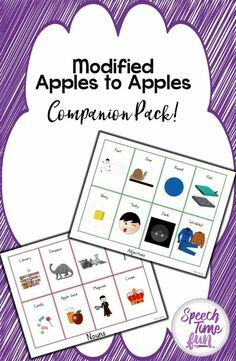 My students listened as I read one of the stories and completed the graphic organizer on the file folder with a dry erase marker. Then, we were able to play the game on the file folder. My students were able to easily refer back to the graphic organizer when needed to answer questions! 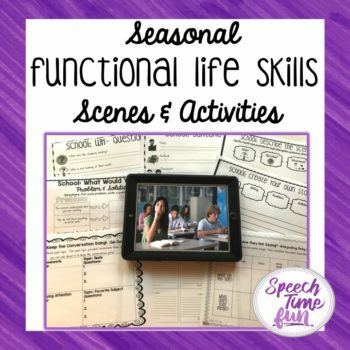 I love file folders for activities like this because it keeps things together and students can easily visually see that they can use their notes. 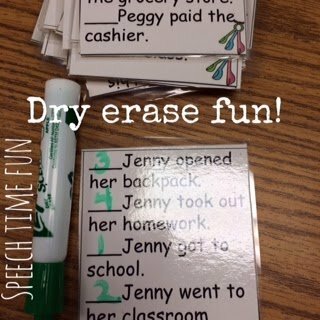 By making it dry erase, I was able to erase it and reuse with another group later that day easily!! 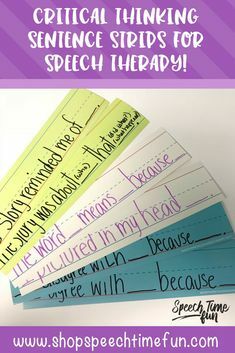 If you follow my blog, you will know I absolutely LOVE sentence strips. 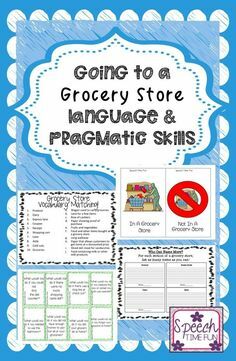 I like to give students carrier phrases as visuals and cloze sentences to expand utterances. I found these amazing sentence strip dry erase boards in Target in the dollar spot section. I found them so long ago but I did find them on Amazon as well. 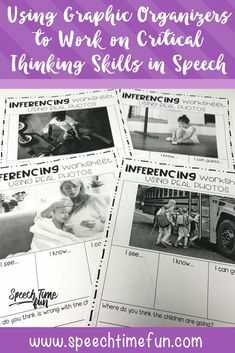 These are great for creating easy visuals (instead of index cards or post-it notes). 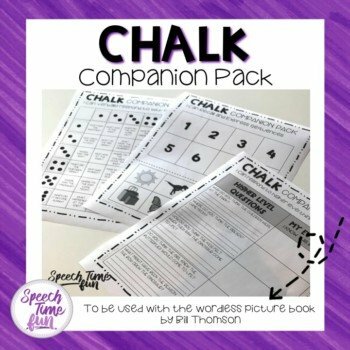 But you can also use them to have students write one word answers! I find when I want a one word answer and I give them large dry erase boards, they are easily distracted and will doodle! 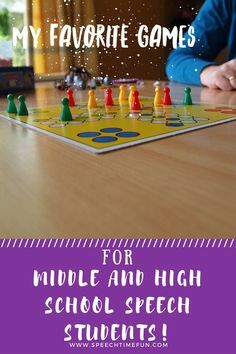 This helps keep their attention focused on the task. When might I want a one word answer? Guess the vocabulary word when given a definition. See below my example of a word retrieval activity using my Ipod Auditory Closure activity. 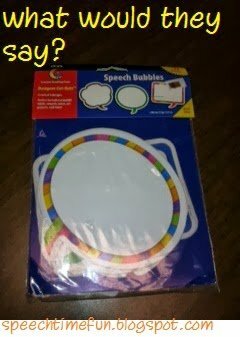 I found these amazing speech bubble images that are suppose to be for a bulletin board. I laminated a few of them so they can be used with dry erase markers! 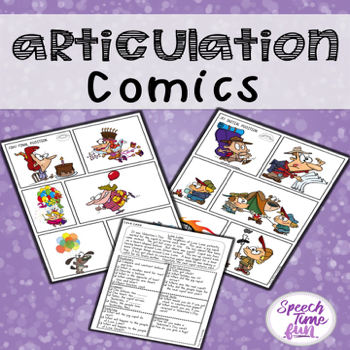 When working with social skills groups, fluency, articulation, or even syntax goals, I will give students scenarios and they can complete the speech bubbles with their responses! How do you use dry erase?! 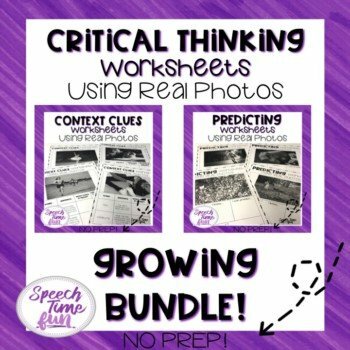 I hope you find these ideas helpful and fun!! 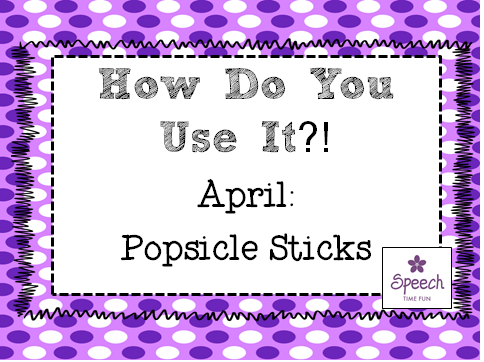 Stay tuned to next month’s linky party topic: Popsicle sticks! Disclaimer: this post contains Amazon Affiliate links.